Create a filter named Material and add values Leather and Stainless steel to the filter. Create another filter named dial color and add values to it accordingly. 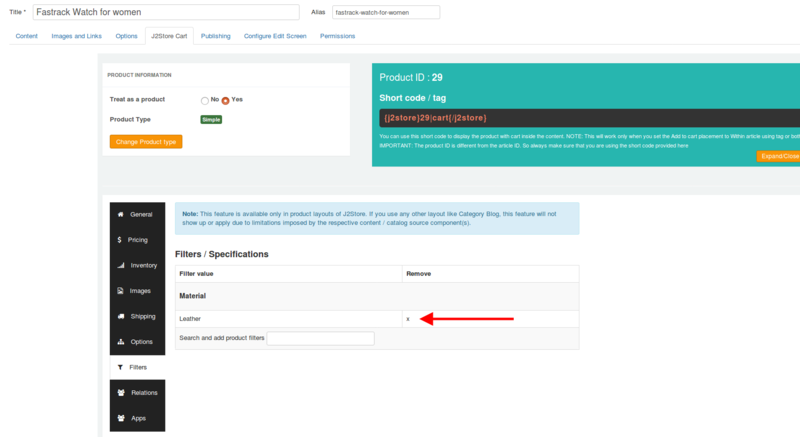 Move to the product's article and click on the filters section. Type in the name of the filter's value created and save the article post adding the filter values. 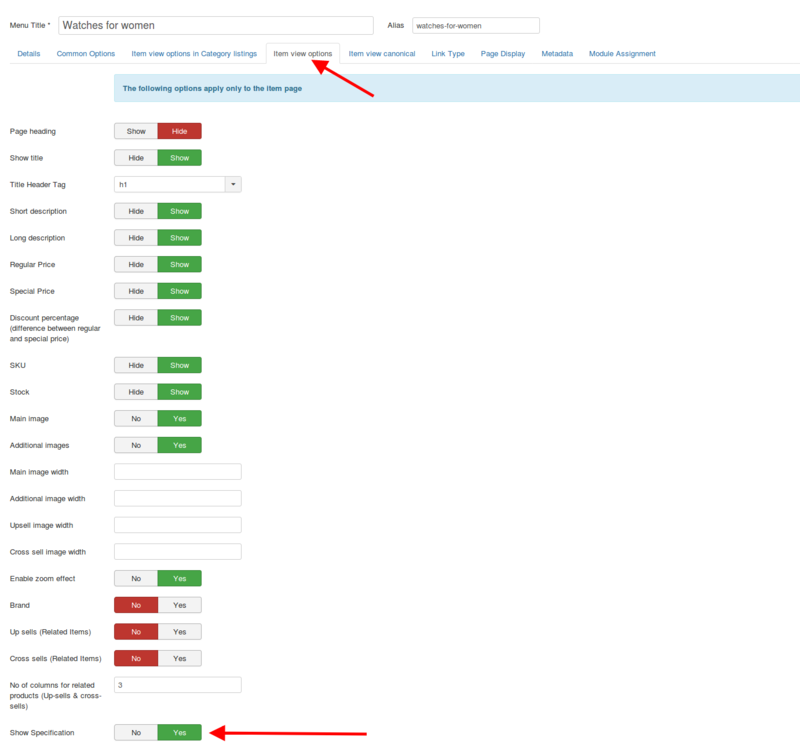 Navigate to Menu manager->Choose your product's menu->Item view options->Show specifications->Show. Save. 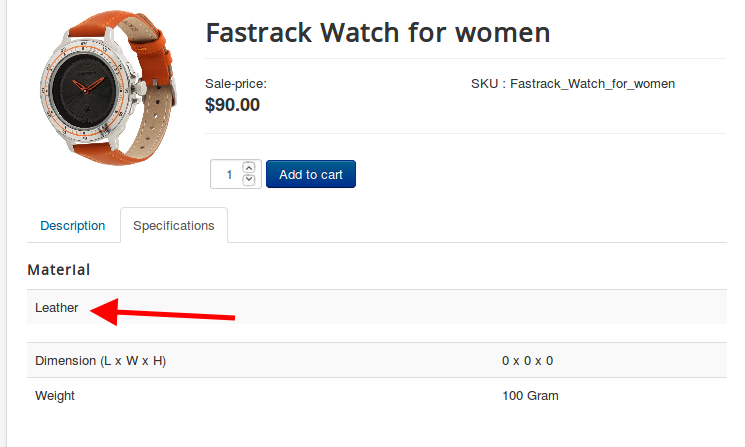 Now the product's item view would have the Specifications listed in a separate tab named Specifications.